Download full-size JPEG (191K) or GIF (185K) image. 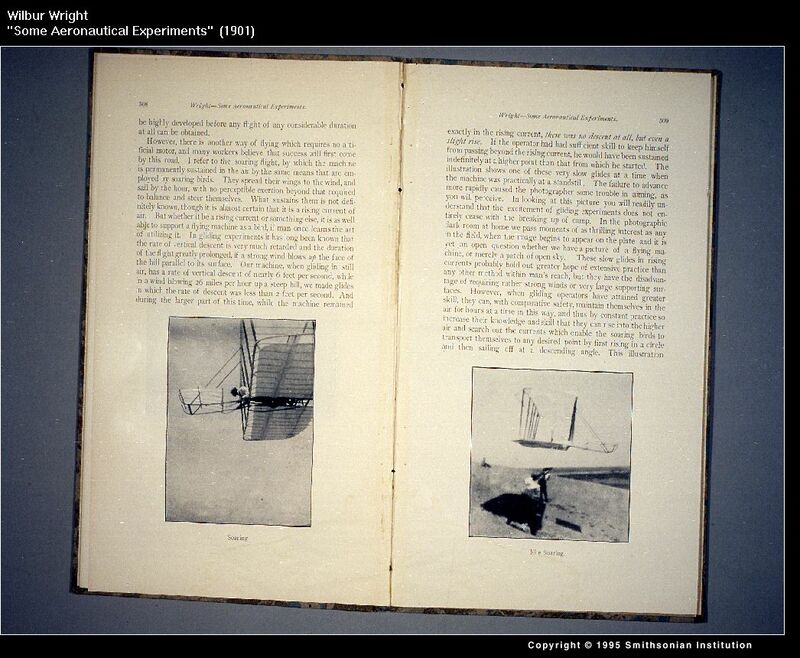 In this article, Wilbur Wright offered the first description of the Wright brothers' experimental flights at Kitty Hawk and Kill Devil Hills, North Carolina, beginning in 1900. There on the sand dunes of the Carolina coast, as buzzards and eagles soared nearby for inspiration, Wilbur and Orville Wright tested their flying machines and worked to solve the scientific problems of sustained powered flight. Download full-size JPEG (177K) or GIF (132K) image. John Wood's interest in the Wright brothers stems from his childhood in North Carolina and his experiences as a pilot in World War II. 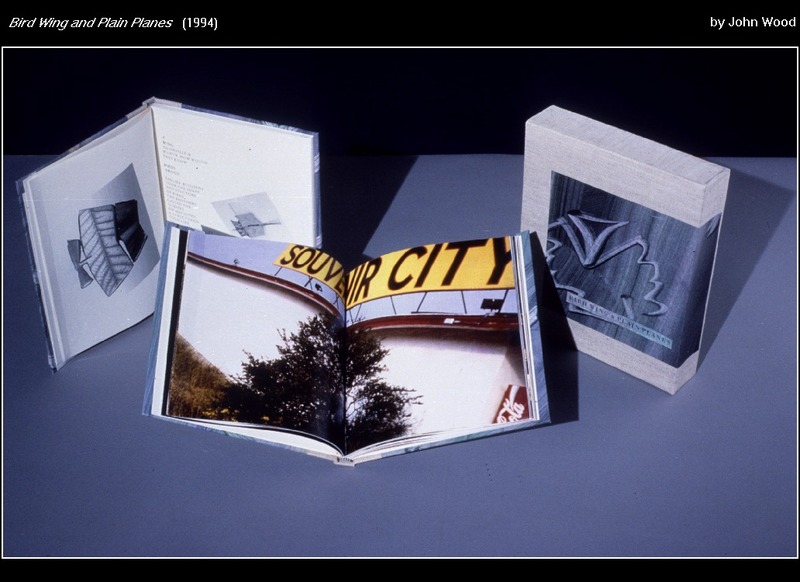 In producing these two books, Wood has begun to explore the computer as a means of generating images of imaginary birds, wings, and planes. Emulating the modest presentation of Wilbur Wright's 1901 article, Wood uses simple scanned images, laser prints, and color photocopies of the Kitty Hawk landscape.